FORT LAUDERDALE, FL--(Marketwired - Nov 3, 2016) - Janet Granger, digital coach and consultant, today announced the release of her new book, Digital Influence for Baby Boomers: Why you should care and yes you can do this! 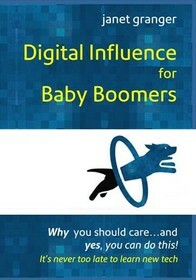 Published by California-based Waterside Productions, Digital Influence for Baby Boomers illustrates that digital influence is critical to those over age 50 who are not ready to retire and who want and need to stay current, employable and competitive in today's marketplace. "The digital age is a big challenge for those that grew up in a world of traditional media," said Jeff Bullas, entrepreneur and internationally acclaimed marketing blogger. "All baby boomers should read this insightful book," said Bullas. According to the Pew Research Center, there were approximately 45 million baby boomers in the workforce during the first quarter of 2015, the latest period for which data is available. Studies ranging from management consultants McKinsey&Company to the White House emphasize the importance of digital influence and the necessity for individuals in the workforce to stay relevant in today's fast-paced world of change. "Understanding and embracing digital influence is critical to continued success in today's digital economy," said Granger. "People with digital influence are being sought out as employees, as marketers, as influencers. If you want to be viable in the workforce -- to continue growing your career, to find a new job or position, or to stay relevant in your current role -- you need to have 'digital savvy,'" concluded Granger. Digital Influence for Baby Boomers is a collection of stories showcasing 11 baby boomers -- ranging from those most fearful of technology to those with increasing levels of comfort, sophistication and mastery -- to see how they are influenced and how they use their digital influence to their advantage. How the Internet, social media, and/or smartphone influences them. Digital Influence for Baby Boomers is available on Amazon in both hardcopy and Kindle versions for $14.95 and $9.99, respectively. The author will conduct a book signing on Wednesday, November 16, 2016, 5:30 pm - 7 pm at the Greater Fort Lauderdale Chamber of Commerce, located at 512 NE 3rd Avenue, Fort Lauderdale, Florida. The event is free and open to the public, pre-registration is required at Eventbrite. Janet Granger is a baby boomer and career marketing professional. With an MBA from Columbia University, her career originated with a traditional marketing, direct mail company, and evolved to consulting to businesses regarding their first websites. She was at the forefront of designing integrated marketing campaigns to generate leads for product sales for B2B web-based businesses. She recognized the paradigm shift from outbound marketing to inbound marketing, including social media, and jumped in. She was honored as one of the Top 20 Content Marketers in New England. As a coach and consultant, Janet educates and trains baby boomers in why and how to increase their digital influence. 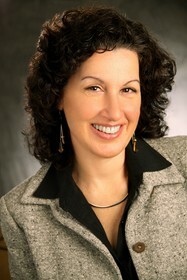 You can visit her online at www.janetgranger.com and on Twitter @JanetGranger and Facebook @DigitalInfluencerForBoomers.